1. APPLICATIONS *MUST* BE ACCOMPANIED BY A *CURRENT* $400.00 DEPOSIT. 2. 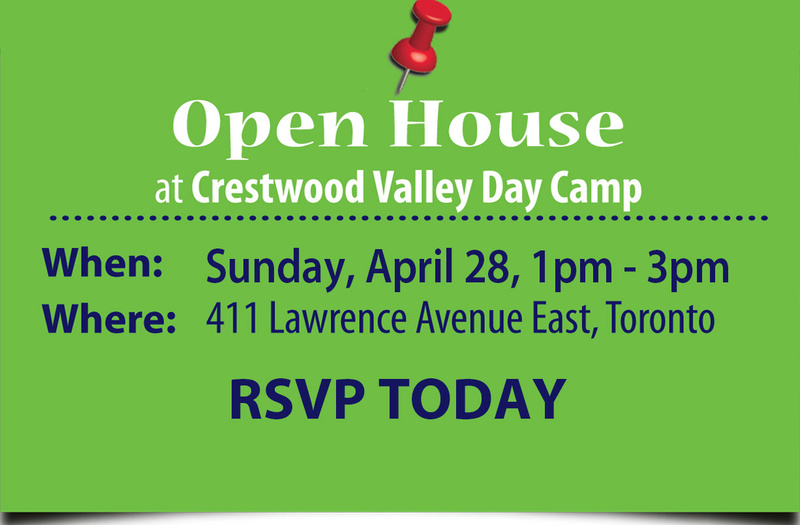 Crestwood offers extensions of 2 or 4 Weeks ONLY (based on availability)! 3. No verbal registrations will be accepted. 4. The $400.00 deposit is non-refundable. 5. The discount fee for the full season, JULY AND AUGUST programme, will only be given if the double programme is requested before June 1st. After this date, the charge will be for two (2) single sessions. 6a. If paying by cheque, A Post-Dated Cheque for the balance of fees should be mailed to the camp office upon receipt of acceptance. 6b. All fees must be paid, in full, by May 1st. 7. Changes made for both July and August sessions before April 1st will be accepted without charge. *(Not all changes can be accomodated.) There will be an administrative charge of $25.00 for any changes made after April 1st, and before June 1st. 8. 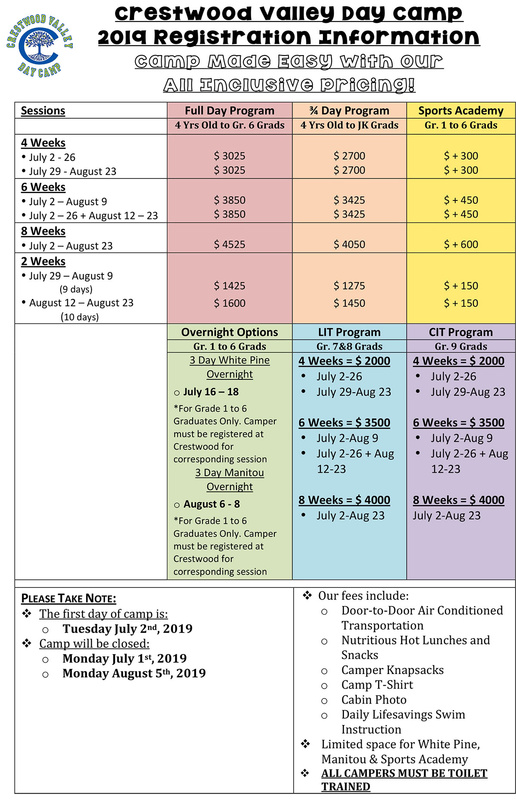 Changes made AFTER JUNE 1st will be subject to a $100.00 Charge! Not ALL changes can be accommodated as a result of full programmes. 9a. Discount for 2nd sibling is $100.00 per month. The discount will be taken from the sibling attending the shorter programme. All campers must be siblings and reside in the same home. 9b. 50% discount for 3rd sibling or more siblings. All campers must be siblings and reside in the same home. 10. There will be a charge of $25.00 for each cheque returned from the bank due to non-sufficient funds.(N.S.F.). 1a. For cancellations made for any reasons, the deposit is non-refundable. 1b. Cancellation requests are to be made, in writing, to the camp administrator. 1d. AFTER JUNE 1ST, NO REFUNDS WILL BE MADE OF ANY MONIES. 2. No refunds will be made for camp days missed due to illness or personal matters. Days missed cannot be made up in other sessions.